Dr. Wong completed his Bachelor of Science degree in 1974 and his Bachelor of Education degree in 1976, both from the University of Toronto. He graduated with a Master of Science degree in Pharmacology from the School of Graduate Studies, University of Toronto in 1978. He received his Doctor of Dental Surgery degree in 1981 from the Faculty of Dentistry, University of Toronto. His General Practice Residency was completed at the Hospital for Sick Children in Toronto in 1982. His Oral and Maxillofacial Surgery and Anaesthesia residency was completed at the Toronto General Hospital and Doctor's Hospital, Toronto in 1985. 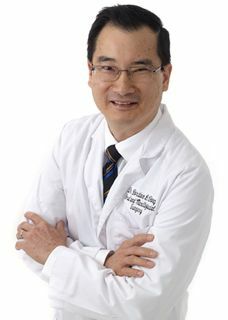 Dr. Wong was the first Oral and Maxillofacial Surgeon to open his private practice in Sault Ste. Marie, Ontario in 1985. He continues to be on the active Dental staff, Sault Area Hospital. He also teaches as an Associate in Dentistry, Division of Oral and Maxillofacial Surgery, Faculty of Dentistry, University of Toronto. He is a active member of the Canadian and Ontario Dental Associations, and Sault Ste. Marie and District Dental Society, where he was President in 1991. He is also an active member of the American Association of Oral and Maxillofacial Surgeons, Canadian Association of Oral and Maxillofacial Surgeons and Ontario Society of Oral and Maxillofacial Surgeons. He is an active member of the Ontario Dental Society of Anaesthesiology, Algoma West Academy of Medicine and Christian Medical Dental Society of Canada. He is an active fellow of the International College of Dentists, Academy of Dentistry International and Pierre Fauchard Academy. He has membership status in the Royal College of Dentists of Canada. His research experience included a summer at the Neuroendocrinology Research Section, Clarke Institute of Psychiatry, Toronto in 1973. He was a graduate student in the Department of Pharmacology and the Addiction Research Foundation, University of Toronto from 1976-1978. He was the Canadian exchange summer student to the Rudolf Magnus Institute for Pharmacology, University of Utrecht Faculty of Medicine, Utrecht, The Netherlands in 1979. Dr. Wong and his wife, Melissa, have three grown sons. He enjoys Masters competitive swimming, bicycling, ballroom dancing, watercolour painting, tropical fish hobby and piano. He recently built his own sea kayak and canoe. He has been involved at Christ Church Anglican with Sunday school teaching, leading Bible studies and as a lay reader. Both he and his wife have travelled with many overseas medical and dental mission trips to China, Honduras, Mexico and Africa.